Blindsighted Wanderer blog tour. Review, Playlist and Giveaway! The Wall has long kept Elitland Valley safe from the demons on the other side. For centuries the villagers have avoided speaking of the Wall or the creatures it protects them from. Upon their return from the annual Country Fayre, the older Atego brothers learn of their father’s passing. When fifteen year old Silas Atego learns the mysterious illness that took his father might have been a curse from a demon, his need for answers draws him to the one place he must not go. The far side of the Wall. When Silas is still missing days later, his older brother Raphael sets out on his own to bring him home. On his journey, Raphael learns how it was his ancestor who was cursed by a demon creature from the Lake and had the Wall built to keep them out. More desperate than ever to find his brother, his search draws Raphael to the same terrifying barrier. Along the brothers’ individual travels they face their greatest fears, make lifelong friends, and more importantly, learn the truth of what happened centuries ago. 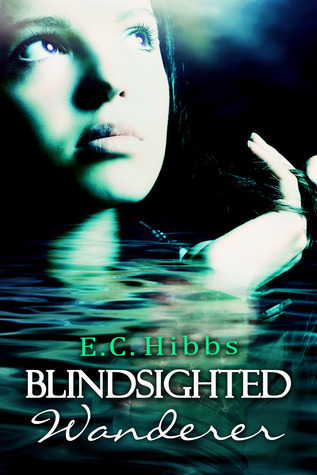 Blindsighted Wanderer is a tale about how truth and forgiveness will set you free. Where myths are transformed to legends that last a lifetime. The brothers leave their home as desperate boys but return to their family as honorable men. Blindsighted Wanderer is a young adult fantasy, coming of age story appropriate for readers 12 +. Blindsighted Wanderer was a fantastical story that covered the past, present and future of the Atego brothers. Silas and Raphael Artego become men and learn the root of the curse that has plagued their family family for centuries on two completely different journeys in a search for truth behind the curse. The story begins with Adrian and Merrin. Adrian betrays Merrin and pays with his life, the residual effects of the anger and hatred Merrin harbours is the root cause of the curse that holds the Artego family captive to this day. Princess Merrin must overcome her deep seeded need for vengance if she is to become the Queen she's meant to be. Silas Artego is determined to discover why his family is cursed, even if means he must travle to the far side of the wall. His brother Raphael follows when hours become days and his brother still hasn't returned. Along the way both brothers meet different people who will have lasting affects on their lives. Silas meets Pearl when her people capture him thinking he's a demon. And Raphael stumbles across Merrin. Merrin holds on to her hatred and bitterness with every fiber of her being, but she's fascinated with Raphael. The world Hibbs has created is stunning and beautiful as we follow each brother through the Valley. The backdrop had a very Renaissance feel with descriptives to capture your attention, and hold you till the very end. A story about humanity, compassion, building trust and overcome your inner demons. The story was a little slow to start, but once it got going I was thoroughly engaged in the storyline and equally engrossed by the characters. Character development was well written, I as well loved that the title of the book could be interpreted several ways in regards to the story itself. I give this one 4/5, but that's just my two cents! Living so near the coast, she loves anything to do with the sea. She studied Animal Behaviour at university and longs to work with marine mammals in the future. As well as nature and animals, she also has a soft spot for history, and loves paying visits to castles, cathedrals and museums. There are many things she could be without, but writing isn't one of them. She carries a pen everywhere, in case an idea appears, and takes pride in still seeing the world as brimming with magic. Besides writing, she reads obsessively, her favourite genres being the classics and all kinds of fantasy. She also enjoys Disney and horror films, practising Shotokan karate, drawing, archery, and playing with her very cheeky kitten. Wondering what songs Hibbs currently has qued on her Itunes?? Thanks EC Hibbs for making this tour possible! Thanks to EC Hibbs for making this tour possible!